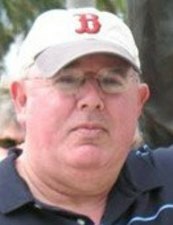 My good friend Howard Leibowitz died Sunday morning after suffering a heart attack in his home in Boston's Jamaica Plain neighborhood. He was 63. We worked together for Mayor Ray Flynn for eight years. I moved to Los Angeles in 1993, while Howard stayed in his beloved Boston, continuing to work in City Hall and later, as a consultant on public issues. Although he wasn't religious, he devoted his life to tikkun olam - a Hebrew phrase that means making the world a better place. There are millions of Americans -- around the country and in Boston -- whose lives were improved by Howard's work, even though they didn't know him or don't even know his name. To draw on Yiddish, he was a mensch, which even Howard's many Irish, African American, Latino, Asian, and Italian friends, in the polyglot world of Boston politics, will recognize -- an honest, caring person. Howard and I had just exchanged emails on Saturday. I returned the day before from a two-week trip to Israel and emailed Howard and several other Boston friends about arranging a speaking gig in Boston for an Israeli activist -- a community organizer who brings Jews and Palestinians together to work on common concerns -- I'd met there. Not surprisingly, Howard was the first to respond (a few hours later) and offered great ideas. Although I moved to Los Angeles 22 years ago, I always stayed in contact with Howard. He was both a great friend and an incredible resource. For example, a few months ago, an LA friend -- a community organizer -- needed help figuring out how to get the US Conference of Mayors to adopt a resolution on bank reform. I referred her to Howard and he not only explained to her how to get it done but helped her make it happen. He was remarkable that way -- selfless and self-effacing. He didn't need to be the center of attention or get the credit. A lifetime Boston resident, he grew up in tough circumstances in public housing in Brighton, then moved to Mattapan, which at the time was undergoing a major transition from a Jewish to an African American area, in part because of redlining and block-busting practices of local banks. Perhaps that experience explains why Howard was so passionate about racial justice, housing, and neighborhood issues, and also why he was so comfortable with all kinds of people. Howard knew every nook and cranny of Boston's neighborhoods. He volunteered for his first political campaign while a teenager and never stopped, even while a student at Brandeis. He knew more about Boston politics than anyone I know, including any elected official. He had an encyclopedic mind about political trivia (i.e. who came in 4th place in the state Senate race in Roxbury in 1978, or how many votes Flynn got in Ward 19 in 1987). This intimate knowledge served him well when he was able to draw on these facts, and his wide network of friends, to help candidates win elections and help get laws passed and policies adopted. I met Howard when he was working for state Senator Joe Timilty, who was trying to unseat longtime Mayor Kevin White. White prevailed in that race but four years later, Howard used his political street savvy to help City Councilman Ray Flynn win his uphill race for mayor in 1983. I got to know Howard better when I was working for the Massachusetts Tenants Organization and then during Flynn's 1983 mayoral campaign. Howard was the first person I hired when I began working as Mayor Flynn's housing advisor in 1984. He had worked for a local nonprofit housing group and he taught me a lot -- about housing policy and about Boston politics. In truth, he knew more about both topics than I did, and within a few years he was Flynn's director of intergovernmental relations, helping Boston attract tens of millions in federal funds and helping Flynn become president of the US Conference of Mayors, a platform the mayor used to focus public attention on the problems of poverty and homelessness. Howard later served in the same post for Mayor Tom Menino as well as press secretary and director of special projects. He also helped catapult Menino into the presidency of the USCM and the National League of Cities. It didn't matter what his title was, Howard was an all-purpose behind-the-scenes advisor who both Flynn and Menino trusted and looked to for both policy ideas and political advice. Howard was one of few top Flynn advisors who Menino -- who had known Howard for years -- asked to return to City Hall when Menino became mayor after Flynn resigned to become Bill Clinton's ambassador to the Vatican. Howard's fingerprints, but not his name, are all over many pieces of local, state, and federal legislation and policies to help the poor. Howard could get more done with one phone call than most people can accomplish with 20 calls. He knew how City Hall worked and he knew what buttons to push to get things done. Plus, he knew everybody in City Hall, state government, and in Massachusetts' Congress delegation, as well as neighborhood activists, academic experts, business leaders, union folks, along with staffers for a wide swath of public interest groups in Boston and DC and elected officials and their key staffers in cities throughout the country. I spent a lot of time with Flynn and Howard in Washington, D.C. and was constantly amazed at how many people he knew. He helped draft federal legislation to expand funding for low-income housing and to provide services for the homeless, and drew on his web of contacts to help get it through Congress. When he worked for Mayor Menino, he used this extensive network to help Menino persuade the Democratic National Committee to hold its convention in Boston in 2004. Most remarkably, in the competitive bare-knuckles world of politics, everybody who knew Howard liked him. Howard managed to survive and thrive because everyone not only respected his views but also respected his integrity. During the eight years I worked with Howard for Mayor Flynn, there was often a division (perhaps best called a creative tension) between the progressives (whom the Boston Herald liked to call the "Sandinistas") and the moderates in the administration. Although Howard was one of the progressives, he was also a bridge-builder between the two camps, because everyone liked and respected him. Howard was the most selfless person in politics I've known. He dedicated his life to public service. Howard never forgot where he came from. He worked on housing issues, economic development issues, and food issues, always looking for ways to use the leverage of local, state and federal policy to help the most vulnerable and disadvantaged. Most recently, Howard was the chief architect of the Boston Food Policy Council and the Boston Public Market. His goal was to address the problem of hunger and malnutrition. In between, and after, his stints in City Hall, Howard worked as a lobbyist and a consultant for a variety of nonprofit groups and causes. He kept his principles intact, working for groups and causes he believed in, helping them negotiate the complex and confusing world of politics. Even while working on big issues in Boston and Washington, D.C., he stayed rooted in local retail politics, serving on the Democratic ward committees in Allston-Brighton and Jamaica Plain. Howard was proud of his accomplishments in politics but he never flaunted his influence. He was always down-to-earth, humble, and let others take credit. (He frequently spoke with reporters, but his name was rarely in the newspaper). Besides politics, Howard had a few other passions. The most important one was his wife, Conny Doty, who Howard met while working for Flynn's first mayoral campaign in 1983. Their romance blossomed in City Hall (where Conny ran the rent control agency, then the city's job training agency). They were the perfect couple in many ways. All of us in their circle believe that "Howard and Conny" was one word. Another passion was the Boston Red Sox. Like his encyclopedic knowledge of Boston politics, Howard was a master of Red Sox trivia. He was a regular at Fenway Park (occasionally playing hooky from City Hall to attend a game) and a devoted fan. He liked the Celtics, too, but the Sox were his real sports passion. Despite being overweight, Howard was nimble on the basketball court and the baseball diamond, particular as a longtime member of the extremely amateur team, the Sharks. He was also a real rock-and-roll aficionado and had an incredible CD collection. He was a huge fan of Bruce Springsteen. A few years ago, during one of my Boston visits, I went with him, Conny and other friends to a Springsteen concert at the Patriots' stadium in Foxborough. Because of a heavy rainstorm, the concert started late, but Springsteen kept playing until after 1 am. Some folks in the audience, soaking wet, left early. Howard and Conny (and I) stayed to the end. Howard's favorite phrase seemed to be "et cetera." He ended many of his sentences with those words. I think he used that phrase because he knew so much about so many things, that it helped save time to simply say "et cetera" rather than continue with a long list of things, because Howard stored lots of long lists in his head. Boston's Jewish Alliance for Law and Social Action was going to honor Howard next month for his lifetime of public service and his commitment to progressive values. Had he lived to be there, Howard would have seen how many people valued his work and his friendship. I hope JALSA will turn that event into a tribute to and celebration of Howard. He was so often behind the scenes that the general public didn't know about Howard's extraordinary achievements. The event would allow many of the people who Howard worked with, and helped, to tell stories about Howard's remarkable life, and remind us what it means to be a mensch. As we Jews like to say, "may his memory be a blessing."